We are part of a rapidly growing field of more than 600 community foundations, acting as community savings accounts for regions around the country. We are a non‐profit community organization created by and for the people of the Lake of the Ozarks area. A huge thank you to our supporters for coming out to our 10th Annual Champagne Campaign! It was a beautiful evening with friends of CFL at LaRoca Club. Thank you again to all our sponsors and donors for giving so generously. 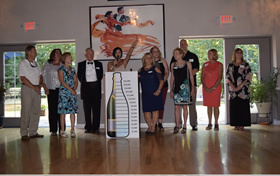 Donations raised at Champagne Campaign will be shared through our CFL grant awards to support our local Non-Profits. 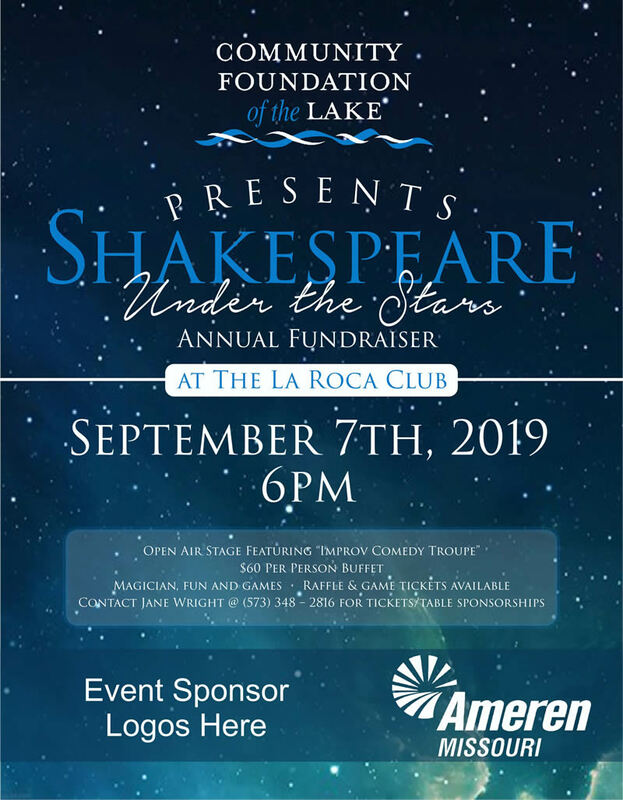 Open Air Stage Featuring "Improv Comedy Troupe"
We are building a permanent community resource that will provide endowment funds that will grow and benefit our community forever. We offer personalized service, including donor and family involvement and education in selecting charities and connecting donors with strategic and highimpact funding opportunities. We accept a wide variety of assets and offer maximum tax advantage. All our funds stay in the community, where they benefit local organizations meeting a broad range of local needs. We can preserve donor intent even when community issues and organizations change. All assets are subject to audit and annual confirmation by an external accounting firm. Copyright 2011-2019. 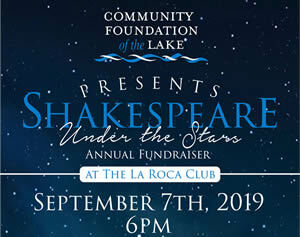 Community Foundation of the Lake. All rights reserved, worldwide.